With two small children, dogs, and a cat running around, my house can get messy fast. We love spending time playing outside, which can mean lots of muddy paw and foot prints coming in. And when we are inside, the kids and I are often painting or making fun craft projects, and that often results in a mess too. But I love my family and spending time together, so the last thing that I want to be worried about is spending my time cleaning. I'd rather let us enjoy our family time! I've found the best way to clean the house fast is to take care of little messes as they happen, so they don't become big problems. 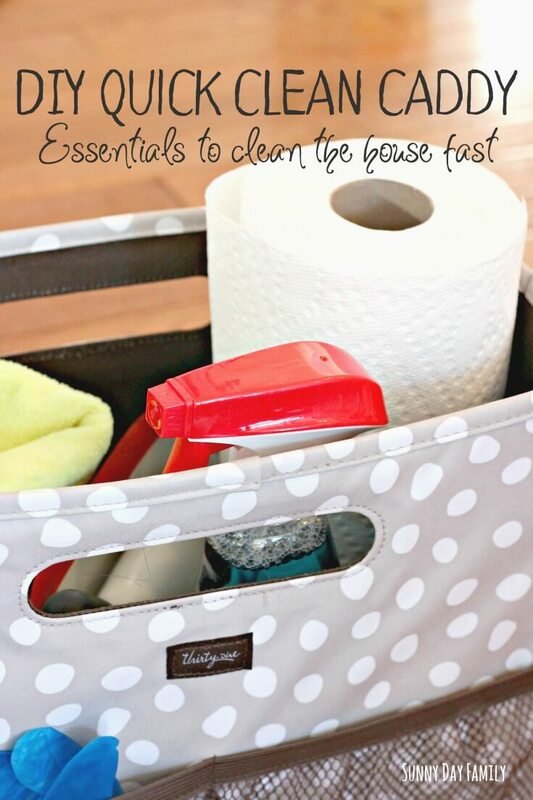 That's why I put together a DIY Quick Clean Caddy packed with all my clean house essentials. Whether its a little dirt tracked inside or a spilled jar of paint, I can grab my caddy, clean it up, and get back to family time! 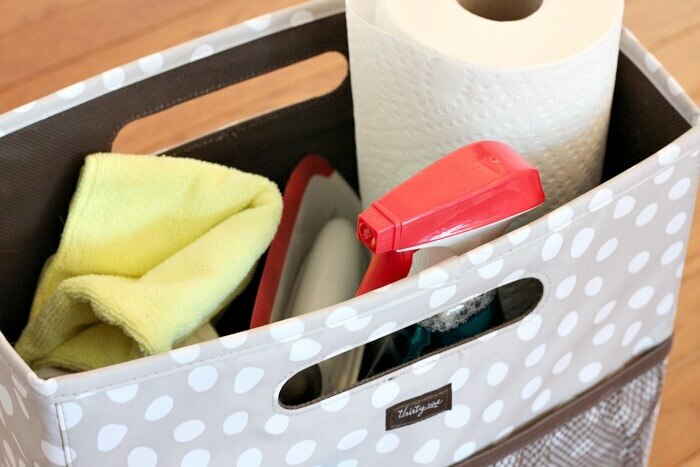 Putting together your own DIY Quick Clean Caddy is easy - here's what you need. 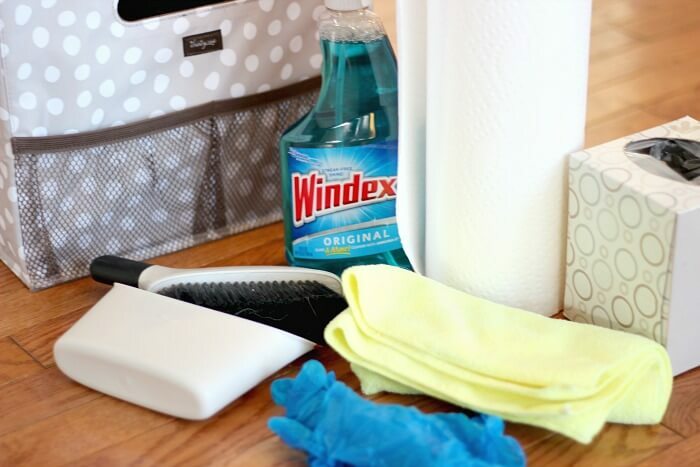 Windex® Original Glass Cleaner & Paper Towels. Do not let the name fool you. 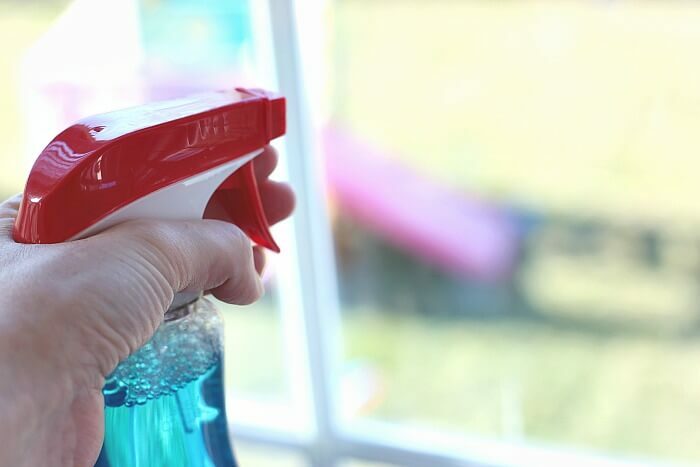 Windex® is great for so much more than glass! I use it on many of the surfaces throughout my home - mirrors, countertops, bathroom fixtures, and more. It's really my go to all purpose cleaner for all those spots and streaks. Microfiber Cloth. 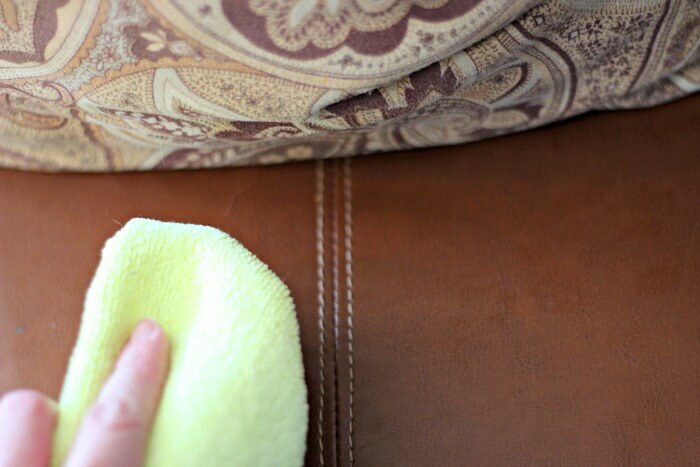 I love using a washable dust cloth to spot clean dusty surfaces, or to clean up a quick spill. Microfiber is great because it picks up dust or soaks up spills, then you can throw it into the washing machine and reuse it! Mini Sweeper & Dust Pan. I have pets, so I sometimes get pet fur tumbleweeds (pet owners, you know exactly what I'm talking about!) 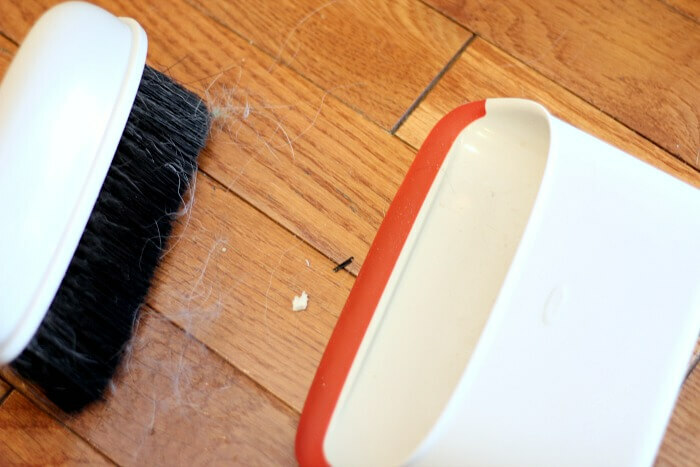 I love having a mini sweeper on hand to catch them when I see them - and to sweep up crumbs after meals and snacks. Small Trash Bags & Gloves. Having a small supply of trash bags is a necessity - I love to reuse plastic shopping bags and store them in an empty tissue box. This way I always know where to find a fresh bag when the can needs to be emptied. And having a stash of plastic gloves is a must in case of a yucky mess. Once you have all the essentials together, find a cute storage box or basket to keep them all handy and ready to go when you need them. My caddy is actually a file storage box, but it's the perfect size and shape to hold everything I need. When I'm able to take care of little messes quickly, I can spend less time worrying about the house and more time with my family. We love having movie nights, and I'm super excited to see My Big Fat Greek Wedding 2, coming to theaters on March 25 and Rated PG-13! I was a big fan of My Big Fat Greek Wedding - who didn't love the eccentric family antics mixed with the sweet love story? 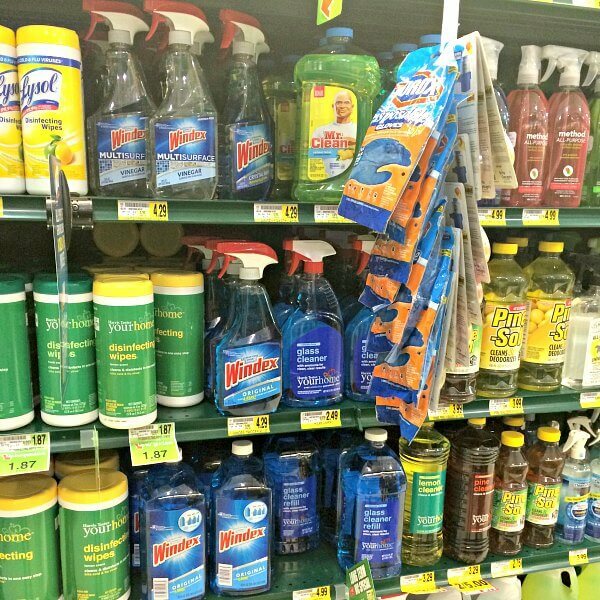 That's why I made sure to pick up my Windex® Original Glass Cleaner for my Quick Clean Caddy from Harris Teeter. When you buy any participating Windex® brand products at Harris Teeter and upload your receipt, you will get an offer code to redeem $3 toward your movie ticket to see My Big Fat Greek Wedding 2. Get more details here*. Want to see more ways that Windex® can help you spend less time cleaning and more time having fun with your family? Check out the great ideas here! And be sure to follow Windex® on Facebook and Twitter too! Me too! It's really handy to have around.